People who are starting to invest need to keep some important things in mind all through their investing life. From complying with various rules, to keeping their fund houses updated with their address for communication, phone number, email ID etc., to investing in the right fund to reviewing and then redeeming their investments. Here is a basic guide to some of those important processes. Download the KYC form from the website of the fund house or AMFI, fill up all the relevant information including PAN, attach required proof of information, photograph etc. and submit it to the fund house or at an authorised collection centre. 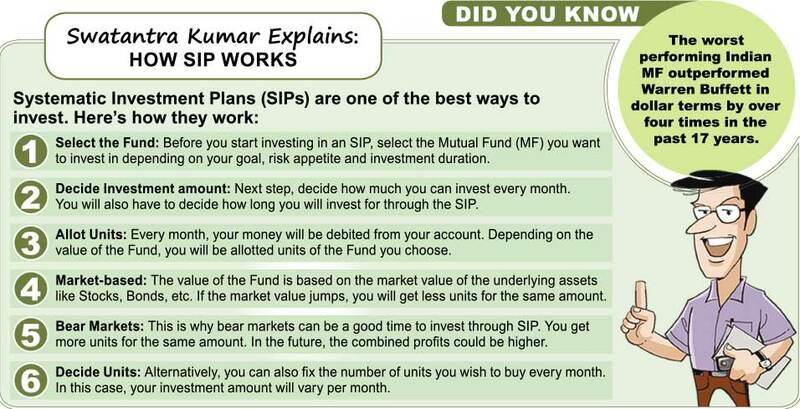 First decide which mutual fund scheme you will invest in each month and the amount of money. Log in to the fund house or fill up the relevant form. Enter all the relevant information including PAN, bank account details, SIP mandate etc. and either submit the form online or send it to the fund house. HOW TO REDEEM YOUR UNITS? First decide how much money you need to withdraw and then either go online to fill up the relevant details on the fund house's website or fill up the relevant details on a physical form for redemption. Submit the filled up form online or send the form to the fund house. Money should be credited to your bank account with a few days of acceptance of the form by the fund house. HOW TO PUT IN A FINANCIAL PLAN? Write down what are your short term medium term and long term financial Goals. Then set definitive and achievable milestones, keep track of your milestones and review, and if required balance your portfolio. Ensure proper nominations for all investments. You should periodically review your portfolio to determine if you are hitting your milestones as set in your financial plan. Often there's a chance that it would veer off track. Portfolio review should show how much your portfolio is off track, which should give you an idea about what corrective action you should take to put it back on track.